BERLIN (Reuters) -- Audi posted an 11 percent jump in global sales last month, its fifth double-digit percentage rise in six months, supporting its bid for the global luxury car-sales crown in a tightening race with rival BMW. Deliveries at Volkswagen's premium division rose to 152,000 cars on surging U.S. demand, extending five-month sales to 713,900, the world's No. 2 luxury automaker said in a statement on Thursday. Germany's three leading premium carmakers have been closing ranks in 2014. Audi narrowed the four-month sales gap to BMW by a fifth this year to 7,200 cars, from 9,021 a year ago. Its own lead over third-placed Mercedes-Benz shrank 11 percent to 54,547 autos. Mercedes will publish May deliveries on Friday and BMW is expected to release the data next week. "It's a tug-of-war for the crown between Audi and BMW and they're battling it out with somewhat ageing lineups," said Stefan Bratzel, head of the Center of Automotive Management think-tank near Cologne. Audi is aiming to exceed last year's record 1.58 million sales this year, while BMW is pushing to increase brand sales of 1.66 million in 2013. Third-placed Mercedes brand sold 1.46 million last year. Analysts say the strongest sales momentum now rests with Mercedes this year, which is benefiting from a spate of redesigned and new models such as the A class, B class and the GLA and CLA compacts. 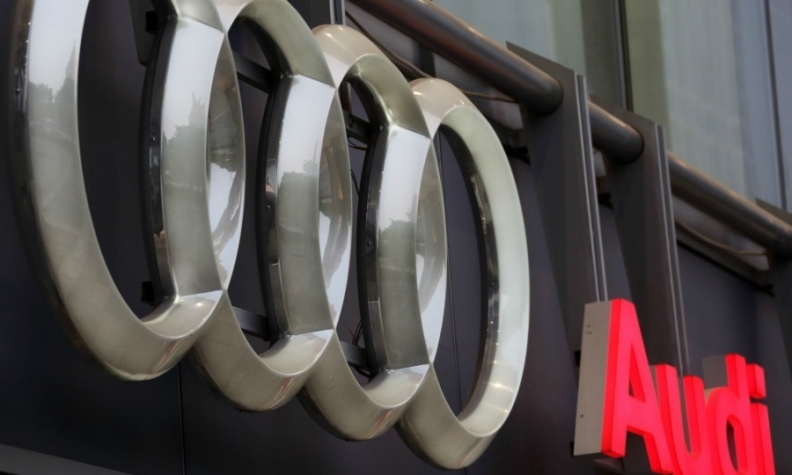 Audi's U.S. deliveries jumped by a quarter in May, extending year-to-date gains in the world's second-largest auto market to 11 percent or 67,482 cars. That's in stark contrast to sister brand VW, which is grappling with a 12 percent decline in five-month U.S. deliveries in a growing market.